The 100 academy students, chosen from top-performing candidates across the country, will learn American history, from the Native American settlement era through the civil-rights movement, with an emphasis on significant events and figures between 1765 and 1865. The group will alternate between classroom studies and visits to 42 sites within the Journey Through Hallowed Ground National Heritage Area. The 180-mile corridor west of Washington, D.C., designated by Congress in 2008, runs from Gettysburg, Pennsylvania, and Harpers Ferry south to Charlottesville and Monticello, in Virginia, and east to the Manassas National Battlefield Park. It counts more than a thousand historic places—including nine presidential homes and sites and 18 national and state parks—along with the “symbolic and spiritual heart of the Appalachian Trail,” according to Sellers. 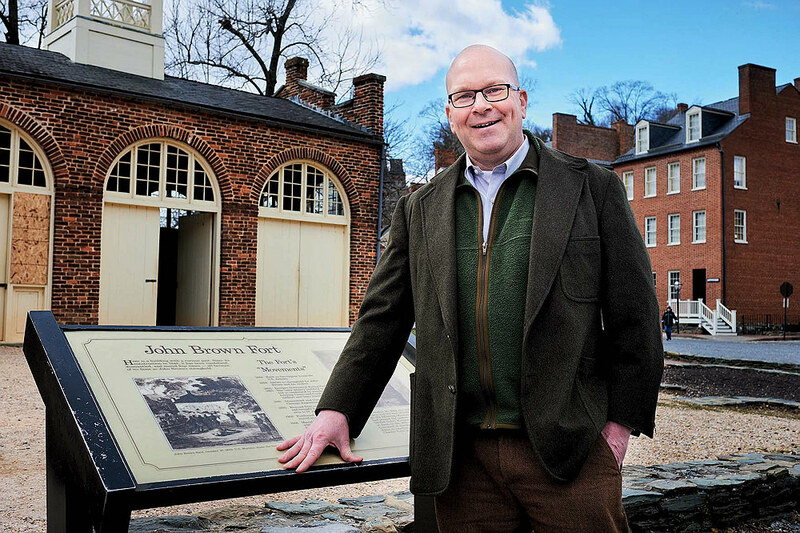 A lawyer and history-lover, he joined the organization in 2015 after five years as president of Wentworth Military Academy, founded by his great-great-great grandfather in Lexington, Missouri. Sellers’ classmate Jason Cogan ’90 was hired this spring (he applied not knowing Sellers was involved in the project, and they did not know each other at Harvard) to direct the academy. The program's teachers will lead the “place-based, experiential” learning using the case-method “History of American Democracy” curriculum created by Cherington professor of business administration David A. Moss (see Open Book, January-February 2017, page 63). Moss himself will teach the first case, on James Madison, the making of the U.S. Constitution (1787) and the ‘Federal Negative,’ (a proposal, supported by Madison, to enable Congress to veto laws passed by state legislatures) on site at Montpelier, Madison’s home in Orange, Virginia.